American Ninja Warrior, NBC’s obstacle course competition airs tonight with an all new Monday, July 20 season 7 episode 8 called “Kansas City Finals.” We’ve got your recap down below! On tonight’s episode the top 30 competitors from the Kansas City Qualifier tackle the Kansas City Finals course, which includes such obstacles as the Salmon Ladder, Flying Shelf Grab, Body Prop and Invisible Ladder. 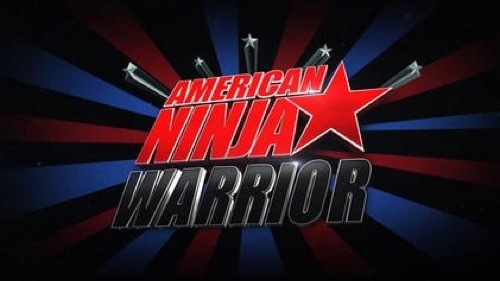 On the last episode “American Ninja Warrior” traveled back to Venice, California where the top 30 competitors from the Venice Qualifier tackled the Venice Finals course. In addition to the obstacles from the Venice Qualifier, contestants faced the Salmon Ladder, Rumbling Dice, Clear Climb and Invisible Ladder. Top competitors Kevin Bull, Nicholas Coolridge and Jessie Graff took on the course. The Venice competitors vied for a chance to compete in the Las Vegas finals, to win a cash prize of $1,000,000 and the title of “American Ninja Warrior.” Matt Iseman and Akbar Gbajabiamila hosts as Kristine Leahy co-hosts. Did you watch last week’s episode? If you missed it we have a full and detailed recap, right here for you. On #AmericanNinjaWarrior it’s the Kansas City Finals! Kristine says the competitors must complete the six obstacles they faced in qualifying. It’s the same obstacles then there are four more added. There’s a salmon ladder, a new one called the flying shelf grab, the body prop which has been made harder this year and then the invisible ladder. Wow – looks exhausting. First up tonight is firefighter Brandon Mears, half of the duo that calls themselves the Towers of Power. The 6’5” powerhouse says he was short all the way through high school. He and his firefighter buddy Dan train together and came up with their team moniker. He hops the steps and then does the big dipper. Now it’s the floating tiles. He hops them easily. Now the ring toss where you have to move the rings on pegs to carry yourself across. He clears it. Now it’s the bungee row. This one was also made tougher in qualifying. He makes the leap and clears it and now it’s just the warped wall before going to the new obstacles. He runs right up it easily. Now it’s the salmon ladder that is all upper body. He works his way up then he has to fling himself to a shelf. He makes the first then the second. He nails the landing and now it’s the body prop which makes you lock in between two walls. It’s too much for him and he takes a tumble into the water ending his run. Next is his buddy Dan Polizzi. He makes it through the first two then takes a tumble on the modified ring toss bring the bro-pocalypse to an end. Akbar says it was a careless move that cost him. On the break, high school teacher Christopher Lange was taken out on the floating tiles. Dan Holguin was taken out by the bungees. Next up is dad of four Dan Banura who trained in his own backyard with his kids. Dan clears the first two then moves to the tiles which he clears too. Now it’s the ring toss. He gets hung up and is dangling but recovers then dismounts. Impressive. Now he’s on the bungee row. The rookie clears it. Now it’s the warped wall which he runs up easily. Now it’s on to the harder stuff. First is the salmon ladder. He lost his grip on the flying shelf and took a backwards tumble. He just couldn’t get his finger tips to hang on to all his weight. Now up is Kevin Hogan, #TheTaxinator, an accountant. He’s all the way to the bungees back from the break and slides right down to a dismount. He’s got some arm burn from that one. He pounds up the warped wall and moves on. He makes it up the ladder and goes for the first shelf and makes it but misses the second and goes tumbling. His grip strength failed to hold his weight and he says he’s hungry and needs more food. Alan Adams is a life-long fan of Ninja Warrior and has been watching it since age 15. His dad said he took his own money and started building obstacles so they gave him tickets to Kansas City for Christmas this year. He neatly completes the steps and the big dipper. He makes a one handed exit from the ring toss and moves to the bungees. He kills that one too. Now it’s up the wall easily. He takes a tumble on the salmon ladder on the first rung and goes down frustrated. He says he’s been practicing with a ladder with a heavier bar and that messed him up. On the break, handyman James Fenby took a tumble off bungee row and PE teacher TJ Sanderson was dismissed from the salmon ladder. Old timer 53 year old Jon Stewart is ready to break another record this year. Stewart is trying to best his own record and says he’s in better shape this year. He clears the steps, big dipper and then the floating steps. He’s recovered from a mountain biking accident. He broke a collar bone and is worried about the upper body strength. He clears the ring toss and moves to the bungees. He makes the dismount but struggled and now faces the wall. He conquers that and now is on the salmon ladder. He misses the shelf – didn’t get a good leap and goes down. He’s disappointed and tells Kristine that he should have taken another swing but says the course is hard. Pizza delivery Mike McKenzie went down on the tiles and postman Gabe Blomgren fell out on the bungees. Jake Murray made it through the first part then fell on the body drop. Next up is Isaac Caldiero, part of the Wolfpack. He skips the steps, kills the slide and hops the steps. He moves to the ring toss. He dismounts one-armed and skipped the last one. He moves to the bungees and kills it. He lopes up the wall and moves on to the salmon ladder. He clears that with confidence. Now he’s on the body prop. He moves across it and then into the vertical section. He fell but made good time so it likely has a good shot of moving on to Vegas. Lutalo Sephers was aggressive but bought it on the salmon ladder. Paul Kasemir also tumbled on the body prop near where Isaac did. Brian Arnold also went down at the same point. Now it’s #NinjaDoc Noah Kaufman who is competing for a young fan who has bone cancer. We see Noah taking Aiden through some of the obstacles and hanging out with him. The rest of the Wolfpack watches. He’s competing in scrubs to put the focus on health. He clears the steps then almost falls off the coaster. He moves to the tiles and hops them easily. Now it’s the ring toss. He lands a one armed landing and moves to the bungees. He loses his grip on the transfer and the leader of the Wolfpack takes a soaking. Noah tells Kristine it was harder than he remembered in the qualifier and says the fall surprised him but he’s happy to be there and had a good time. Next is Dan Yager, a rookie who has trained with the Wolfpack as well. He was given up for adoption as a toddler in Korea when his parents couldn’t afford to treat his tuberculosis. He’s had no contact with his birth parents and says that makes fatherhood more precious to him. He clears the steps and the climber moves on to the coaster. He moves to the tiles and hops those too. He clears the ring toss and he’s on the bungees. He makes it to the wall and runs right up it. Now it’s on to the back half where it gets really difficult. He moves up the salmon ladder and then makes the first shelf then the second. Now it’s the body prop. He starts and slides along the horizontal part. He works down the vertical and then starts horizontal again but falls. His body gave out at the same point as the others. He says his feet were slipperier than he thought. Karson Voiles made it halfway on the body prop and Josh Cook made it just a few steps before he fell to the body prop. It has taken out most of the top qualifiers and no one has finished the course yet. Eight have reached it and eight have fallen. Brendon Couvreaux from Boulder is next. He cleared the first part of the course easily but took two tries to make it up the warped wall. He moves to the salmon ladder and is goes sideways but he recovers. He makes it to the body prop that has already taken out eight competitors. He’s shaking almost from the start and he shakes out his arms as he moves to the vertical. He takes a break to shake out his arms. He starts the horizontal now and he falls on to the platform. Now it’s the invisible ladder. He’s the first to make it there. He wiggles his way up through it and slaps the buzzer to make Brendon the first finisher of the night who is moving on to Vegas. Next up is Brandon Berrett and he clears the steps, the rocker, the tiles and then heads for the rings. He clears those and it’s bungee time. He clears that then runs the wall and moves on to the salmon ladder. He clears that too and it’s on the body drop and he falls at the start. But his run was fast enough where he should be able to make the top 15. Kristine tells him he’s going to the national finals in Vegas and he whoops. Next up is Michael Stanger who was the walk on who competes in honor of wife Enedina who has a debilitating disease that’s killing her. Michael says he’s had an outpouring of love since his qualifying run that has meant a lot to him. He clears the first part of the course and is ready to run the wall as his wife cheers from her wheelchair. He runs the wall and heads for the salmon ladder. He clears the ladder and steps and is now on to the body prop. He has to get past this to qualify since his time is slower. He makes it almost to the vertical then falls but it won’t be enough to take him to Vegas. The Stangers talk to Kristine and he says he can’t believe he made it that far. Enedina says it was the best and he’s awesome and she’s so proud of him. Back from the break, Michael Silenzi, #TheStallion fell on the salmon ladder shelves. Lorin Ball bought it on the body prop and firefighter Dennis Lappin also fell and was the 13th body prop victim of the night. Rock climber Ian Dory is the last of the Wolfpack to run tonight. He’s on the salmon ladder but is moving so slowly that if he doesn’t clear the body prop, he won’t make it to Vegas. He clears the body prop! He’s the second of the night to beat the body prop and the only Wolfpack member to make it past it. He’s on to the invisible ladder and moves fast up it and the youngest member of the pack finishes it and slaps the buzzer. He’s the second finisher and assured a slot in Vegas. Next u is rock climbing instructor Meagan Martin and the only female competitor tonight. She takes a tumble off the slider. #MightyMeagan is out of the running for Vegas. She could still get a wild card slot though. The final competitor is Lance Pekus the #CowboyNinja. He drops the hat as he hits the slider and he rapidly clears the first half of the course, moves up the wall and onto the salmon ladder. He kills it and moves to the body prop and he’s moving so fast, he’s in the top 15. His feet are sliding but he’s moving fast. He almost slips and recovers and then clears it. He’s the 3rd to vanquish the body prop. He moves to the invisible ladder. He beats the fastest time by more than a minute kicking Ian Dory to 2nd place. Lance says it feels amazing and says his training finally paid off. Matt and Akbar now have to wear cowboy hats in Vegas for Lance’s run. Finishers were Lance Pekus, Ian Dory, Brendan Couvreaux. Then those who failed but went fast enough to move to Vegas include Isaac Caldiero, Josh Cook, Brandon Berrett, Lorin Ball, Paul Kasemir, Brandon Mears, Jake Murray, Karson Voiles, Brian Arnold, Jason Williams, Dan Yager, and Dennis Lappin. All 15 will be at the national finals in Vegas.